Bloom with beauty wearing the Kate Spade New York® Metro watch. Brown leather wrist strap with three-dimensional flower details. Silver-tone dial face features stick index hour markers, 12'oclock spade marker and brand name. 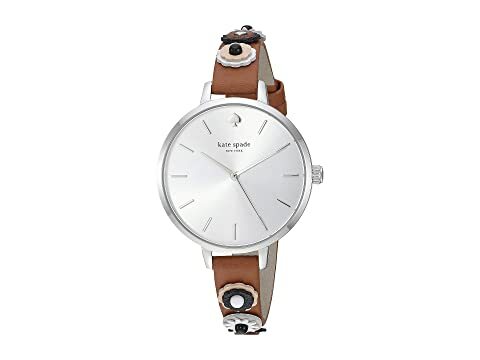 We can't currently find any similar items for the Metro - KSW1464 by Kate Spade New York. Sorry!